In creating an orthopaedic center of excellence for their growing orthopaedic specialists, St. Vincent’s Hospital called on long-term partner Johnson Development to develop the new St. Vincent’s OrthoSports Center, a world-class surgical and rehabilitation center that sets a new standard for orthopaedic and sports medicine care. 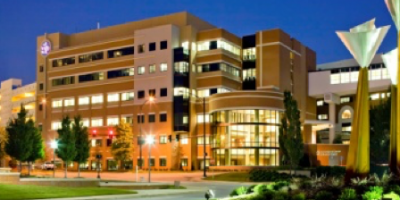 It is located on the main campus of St. Vincent’s Health System in Birmingham, Alabama. The OrthoSports Center is home to physician offices, diagnostics, 12 digital surgical suites with fully-integrated advanced imaging systems, and rehabilitation sports and physical therapy centers. Johnson Development orchestrated the development, financing, construction and physician ownership model seamlessly, completing the project on time and on budget, while providing creative solutions to unique challenges. Johnson Development continues to provide facility and property management services at the Center.